Saving money on your electric bill no longer has to be a complicated or expensive ordeal. Designed as a more affordable alternative to window replacement, Drywire Liquid Nanotint® is a highly efficient thermal coating that dramatically enhances the insulating properties of your building without blocking out natural sunlight. 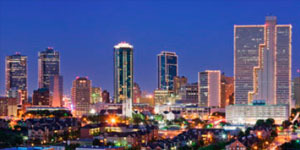 Nanotint provides Fort Worth home and business owners with an easy way to cut electrical costs and increase occupant comfort. Due to its high performance and advanced design, Nanotint is considered one of the most powerful and innovative products on the market. 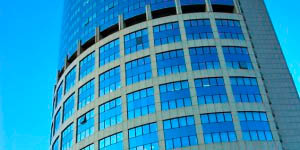 Studies have proven that windows are responsible for over 25% of heat transfer in building structures. 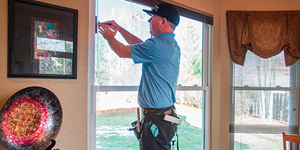 Most homes and commercial buildings are constructed with single pane glass, which has poor insulation and far from optimal energy efficiency. 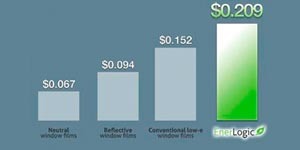 In the past, people have turned to dark window films and expensive triple pane windows in their efforts to combat energy loss. But window replacement is expensive and films may crack, peel, bubble, or fade over time. 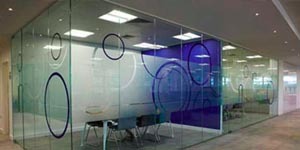 Liquid Nanotint is a more affordable, longer lasting alternative to traditional window treatments. 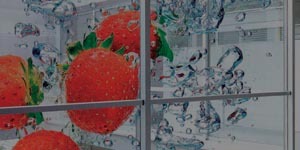 Unlike dark window films that block out the sun, Liquid Nanotint is a clear thermal coating that reduces solar heat gain without limiting natural light, preserving the bright and clear appearance of your building. It’s applied just like paint, which means it doesn’t involve any expensive structural renovations and can be expected to last for a minimum of ten years. 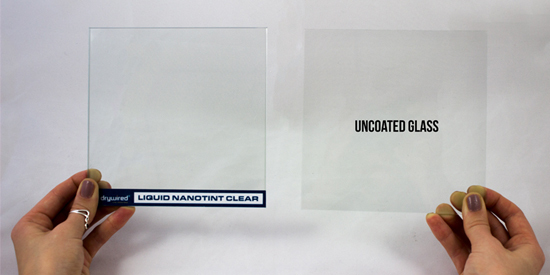 Liquid Nanotint is a liquid, self-leveling substance that bonds directly to glass and polycarbonate surfaces. It uses solvent borne metal-oxide particles combined with an inorganic adhesive binder to create a thermal coating that’s 10 microns thick. Liquid Nanotint works to reduce radiant and conductive heat transfer in order to regulate indoor temperatures and increase energy efficiency. Do you have historic building windows, bent glass, skylights, or textured glass that negatively affects the insulation and energy efficiency of your building? Want to save tons of money on your annual electrical costs? 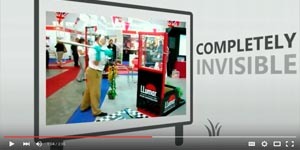 If your answer is yes, then Drywire Liquid Nanotint® is the perfect solution for you. 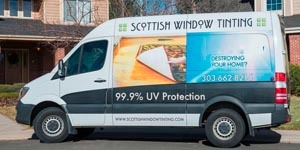 Call Fort Worth Window Film today to schedule professional installation services for Liquid Nanotint for your Fort Worth home or commercial building.